Many unique attractions can be found only in Ellsworth and its surrounding area. Common Man Tap & Table: Pierce County's first nano-brewery and brewpub is quickly gaining notariety throughout the region. That's right Common Man Brewing isn't a microbrewery it is a nanobrewery. Their brewing system produces one barrel (or 31 gallons) at a time. This one barrel nanobrewing process allows for for small-batch handcrafted quality. The establishment opened in May of 2015 with 22 taps, cocktails, wine and a creative comfort food pub menu. Everything from the decor to the menu pays homage to the "common man" and they're quickly becoming a favorite for both locals and travelers to the area. Stop by for a cold one and meet Russ, the owner. For more information visit their website here. 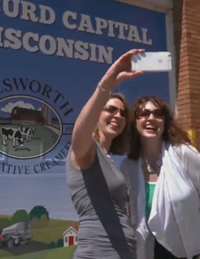 Ellsworth Cooperative Creamery: As the official “Cheese Curd Capital of Wisconsin” no visit to Ellsworth would be complete without a stop at the Ellsworth Cooperative Creamery. The Creamery is a 450+ member dairy-farmer-owned cooperative. Established in 1910 to manufacture and sell butter, they ventured into cheese making in 1966; and boy are we ever glad they did! The cooperative soon became known for their delicious natural, fresh cheese curds, leading Governor Anthony S. Earl to proclaim it the "Cheese Curd Capital of Wisconsin" in 1984. 170,000 pounds of cheese curds are manufactured at the Ellsworth facility daily, and cheese curd fans from near and far begin to line up just before 11:00am to purchase the first of the fresh curds produced that day. Their recently renovated and expanded retail store, located at 232 N. Wallace in East Ellsworth, is open 7 days a week from 9 am-6 pm. The Cheese Curd Capital of Wisconsin mural is a must-do photo opportunity for serious cheese curd fans. In addition to fresh curds, you’ll also find over 250 varieties of Wisconsin-made cheeses, plus many other locally made foods including their popular Flat Pennies premium soft-serve ice-cream, Cheese Curd Brats and Burgers, beef sticks, Flo’s Fudge (made fresh onsite), local jams, jellies, honey, mustard, flavored popcorn, cookies, and maple syrup. And because man cannot live on cheese alone, you’ll find the area’s largest selection of Wisconsin-made wines. An extensive selection of unique and creative gifts, housewares and kitchen gadgets means you won’t go home without a souvenir. For more information visit their website here. Rush River Orchard and Bakery: Rush River Orchard and Bakery is a U-pick apple orchard. 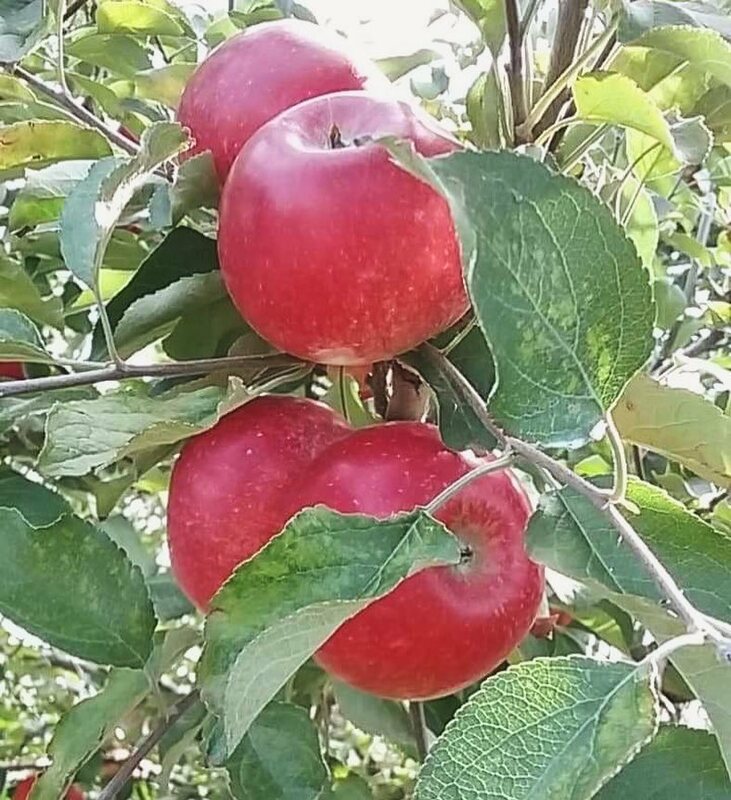 Visitors have the chance to stroll through acres of apple trees and pick their own apples from dozens of varieties including the ever-popular Honeycrisp and Zestar varieties. At the orchard, you can also take a hayride through the property to enjoy the beautiful countryside views, taste some of the delicious treats from the bakery, and enjoy seasonal activities such as pumpkin picking and our added corn maze! School tours are also available (see our hours and events page). Visit their website here! Vino in the Valley: Vino in the Valley is a unique, outdoor dining experience designed to stimulate all your senses. Nestled in the heart of the Rush River Valley, you are invited to enjoy a glass of wine and a pasta dinner in their open-air pavilion. Savor the sites of the emerging vineyard while dining on Italian nachos, gourmet pizzas, pasta and sipping area made wine, in addition to wines from all over the world. Open every Thursday, Friday, and Saturday night, as well as Sunday afternoons, May through September (with additional weekends October through December). 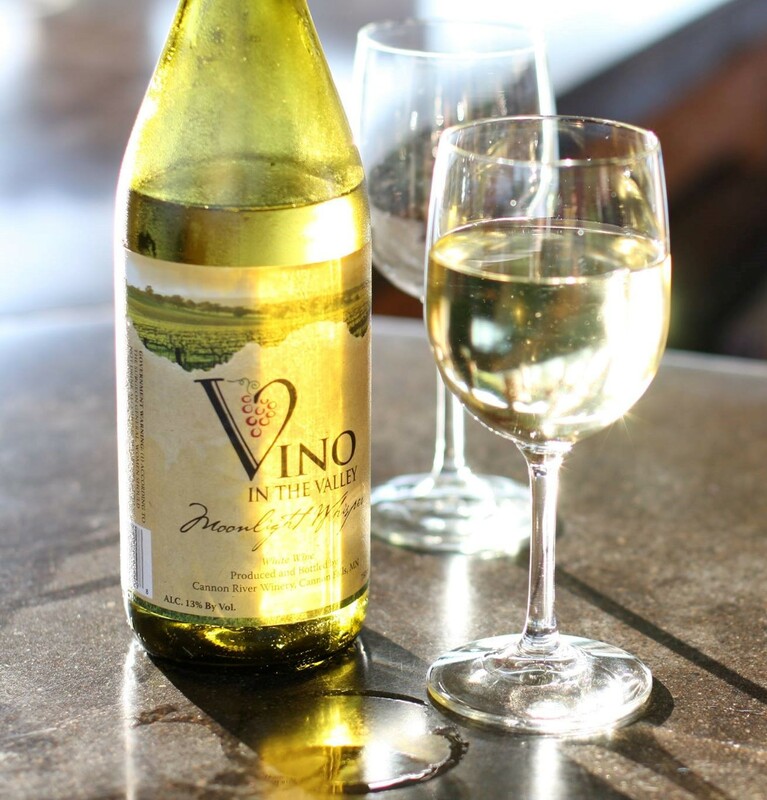 When you visit Vino in the Valley, plan on a leisurely, relaxing experience. Take a stroll around the vineyard or along the river, and relax with a glass of wine or craft beer near one of the bonfires. Acoustic music from local artists will add to the ambiance that also includes a small gift shop and farmer’s market. For more information about their hours, directions and events, visit their website here.